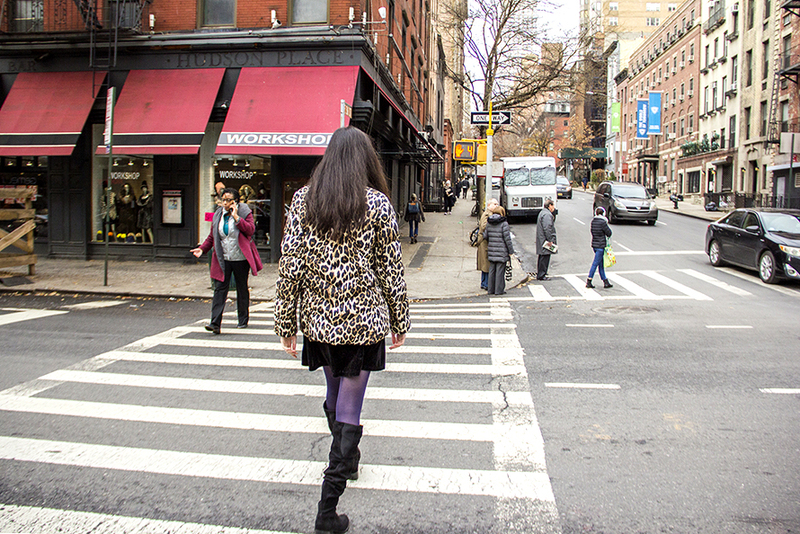 Ms. Magazine Way is a daily reminder that part of the feminist movement was born in Murray Hill (yes, Murray Hill). She’s right, but on the plus side, every neighborhood, no matter the degree of perceived homogeneity, has some quirks. 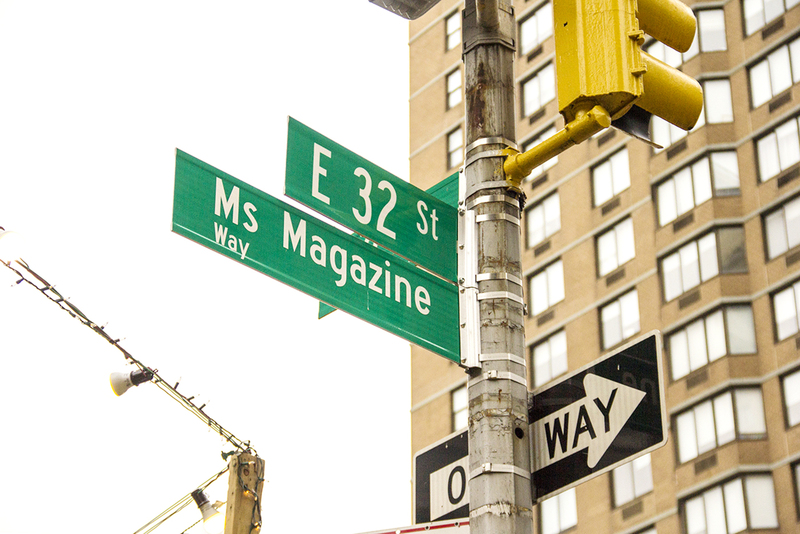 I found one as I walked up and down 32nd Street in the very heart of Murray Hill a number of times: Ms. Magazine Way. Believe it or not, there’s a blink-and-you’ll-miss-it bit of feminist history. On East 32nd and Third Avenue, at the corner of a block now dominated by a Trader Joe’s, there is a sign proclaiming the area Ms. Magazine Way. 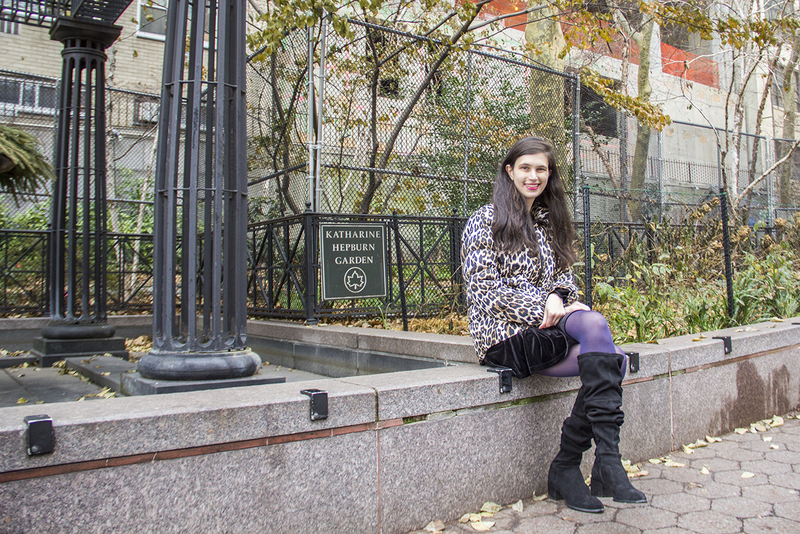 The iconic feminist magazine was started in 1972 at the New York magazine office, then located at 207 East 32nd Street; on the occasion of the publication’s 45th anniversary in 2017, the street was dedicated with a ceremony featuring cofounder Gloria Steinem herself. As a native New Yorker, I’m eternally appreciative anytime I find some new little detail that I hadn’t previously noticed. As a part-time archivist who gets a thrill from combing through old magazines, I’m happy for any recognition that slowly fading medium gets in our increasingly pixelated world. I look at the sign and think about being an “independent woman,” living a life made possible in part by those who came before. I had no idea Ms. magazine was born in my new neighborhood, but I take this as a good omen. Now when I walk on that street, I look up at the sign and feel cheery—I appreciate Ms. magazine’s legacy and the fact that so many years and so many shuttered publications later it’s still around. And on top of all that, it started in my own backyard! As a young woman living in a studio apartment and trying to figure out her career and personal life, with varying degrees of success, I feel I’ve been really leaning into some concept of the bachelorette lifestyle. Walking on East 32nd Street, my arms straining to carry Trader Joe’s bags filled with Reduced Guilt Mac & Cheese, granola bars, and other minimal-effort foodstuff, I’ll look at the sign and think about being an “independent woman,” living a life made possible in part by those who came before, took on the patriarchy, and redefined modern womanhood. I see Ms. Magazine Way as a rebuttal to any lazy arguments about the neighborhood’s residents or their perceived lack of interests outside of drinking and networking. 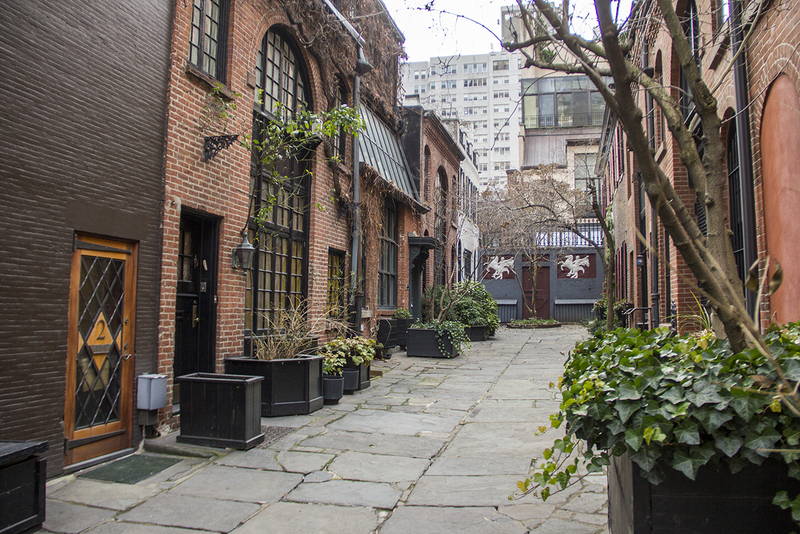 There are other gems within Ms. Magazine Way’s orbit, too: In walking distance you have Sniffen Court, a private alley where the cover of the Doors album Strange Days was shot; a pinball arcade; and a memorial garden named for Katharine Hepburn, one of the neighborhood’s most famous residents. Murray Hill contains multitudes. New York’s honorary street names offer a subtle, constant reminder of the city’s colorful history. There are streets named for dearly departed musicians, from Joey Ramone (as well as his band) to Steely Dan’s Walter Becker; Hollywood stars such as Humphrey Bogart; and iconic films like Do the Right Thing. Naming a street is a way of letting people know how important, how literally foundational that person or thing is for New York. In a video clip from the Ms. Magazine Way dedication ceremony, Steinem says that she could never have imagined the publication being so successful and a street being dedicated to it 45 years later. And yet, there it is: a true landmark. By now we’re a few waves of feminism beyond the magazine’s origins, and no matter how many bland business-suited men walk past the sign, failing to take notice of it, the publication’s legacy cannot be erased. Ms. Magazine Way is a dash of feminine personality in an oft-misunderstood and male-identified neighborhood, and a reminder of women’s history and pre-Internet magazine lore. I didn’t expect my move to Murray Hill to bring with it a deeper appreciation for one of the signature achievements of the 1970s feminist movement or magazine history, but I’m certainly glad it did. Abbey Bender writes about film and fashion. Her work has been published in The Washington Post, Nylon, Time Out New York, The Village Voice, Sight & Sound, and other outlets. Her portfolio can be found here, and she’s on Twitter: @abbey_bender.